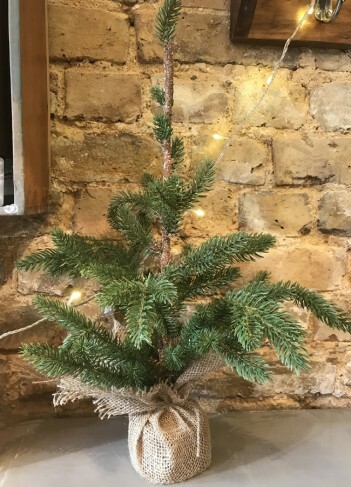 Nice little faux pine tree, displayed in a hessian sack. All the branches are bendable so you an mould it into your desired shape. Would look great with some micro LED lights on it and small hanging baubles or clip on decorations. Perfect for a mantlepiece or as part of a table decoration. 51cm tall and about 30cm round.